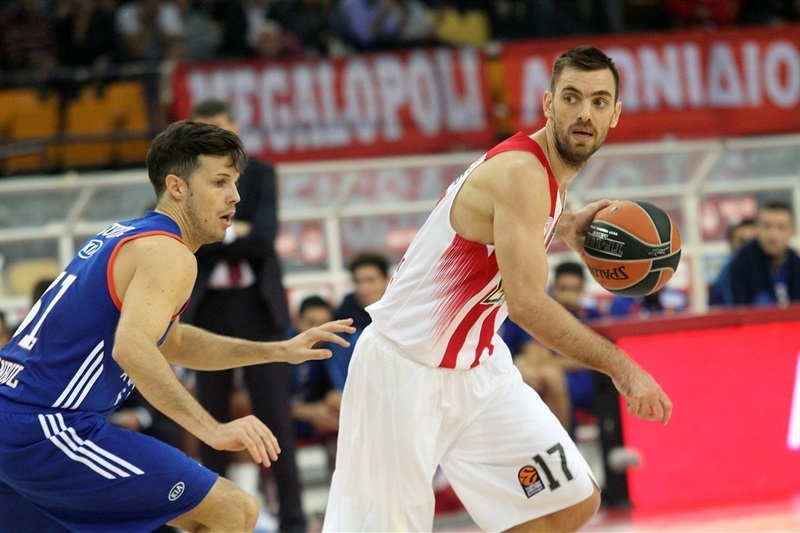 Olympiacos Piraeus trounced Anadolu Efes Istanbul 90-66 on Thursday at Peace and Friendship Stadium in its home opener in a historic game for its leader. 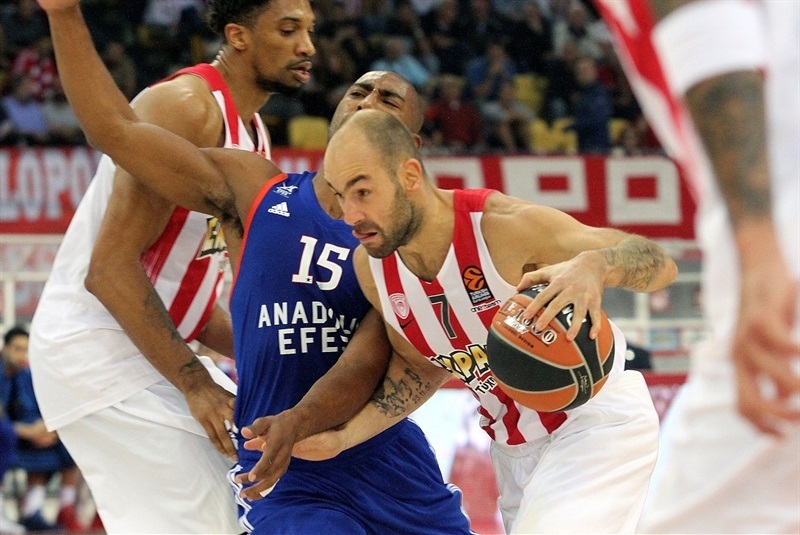 Vassilis Spanoulis became the second player in competition history to reach 3,000 career points with a basket in the first quarter. He starred all night long with 17 points and 9 assists for the Reds. 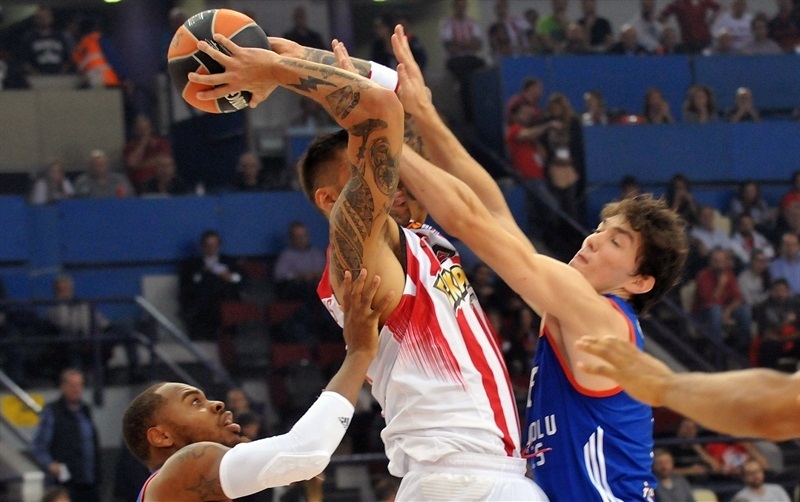 Georgios Printezis scored 14 first-quarter points and finished with 15, while Matt Lojeski netted 14 points and Erick Green 11 for the winners. Cedi Osman led the way for Efes with a career-high 22 points and Derrick Brown and DeShaun Thomas scored 10 points apiece. 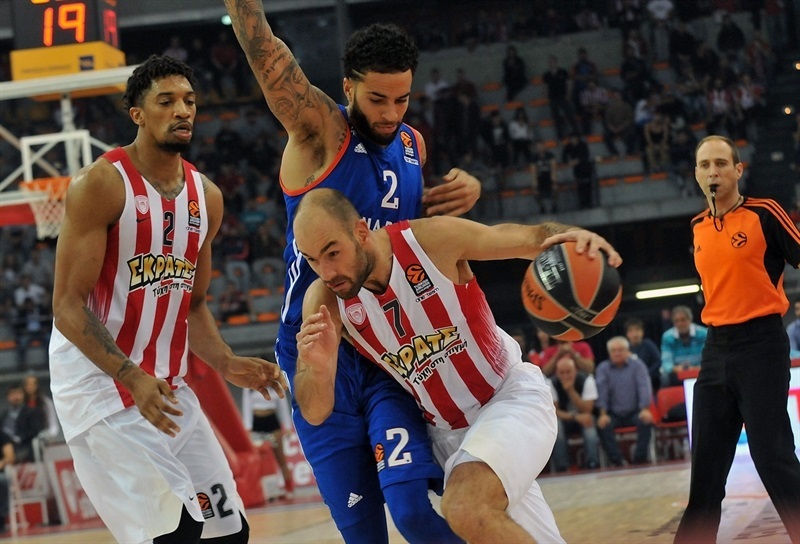 The result evened Olympiacos’s record at 1-1, while Efes fell to its second defeat in as many games. 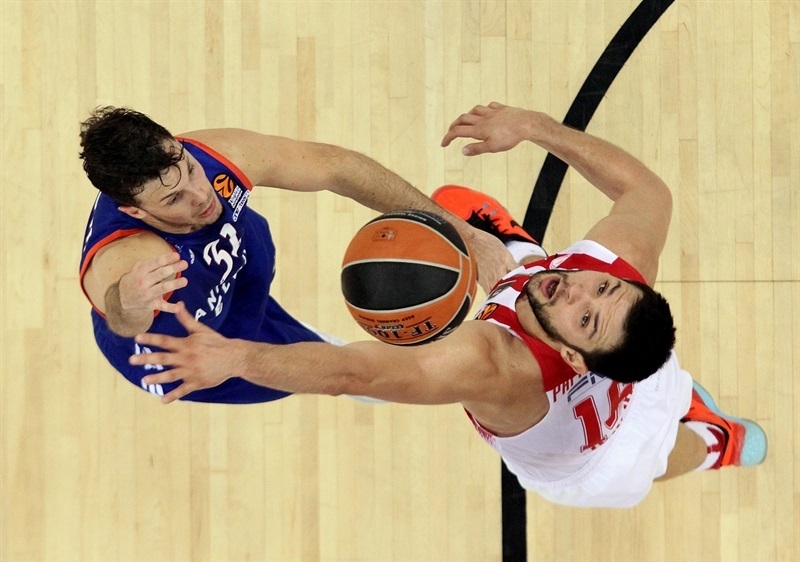 Olympiacos hosts EA7 Emporio Armani Milan in its next EuroLeague game, while Efes takes on reigning champion CSKA Moscow. 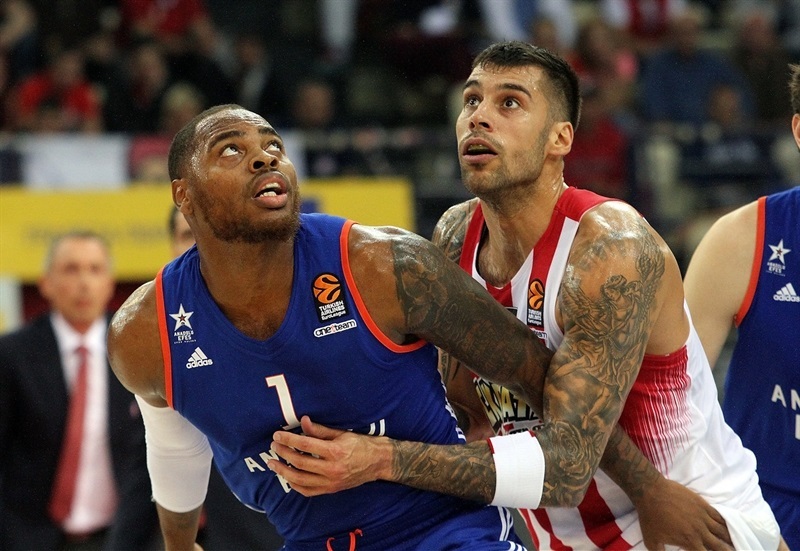 The hosts jumped out to an 11-4 start on the strength of Khem Birch’s excellent play inside, Georgios Printezis’s crafty scoring and Spanoulis’s nifty passing. 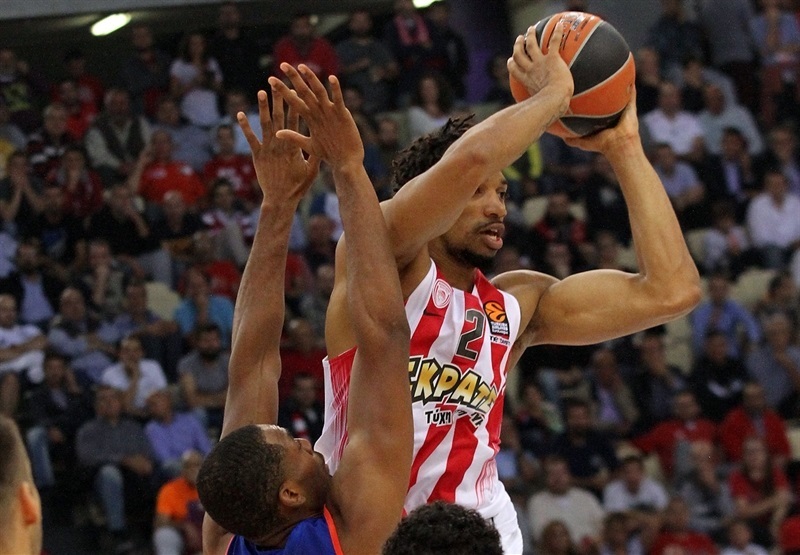 Printezis buried a triple that gave him 10 points and Olympiacos a 16-6 lead. 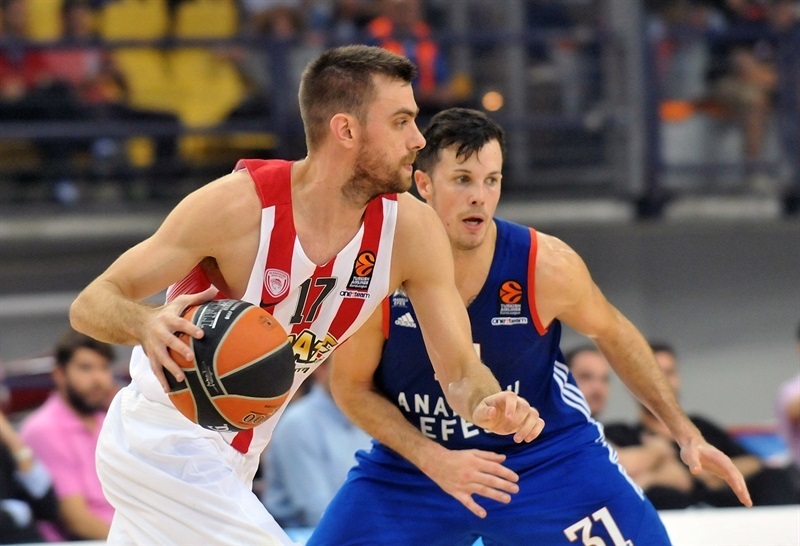 Spanoulis racked up 7 first-quarter assists as his team claimed a 28-16 advantage after 10 minutes. 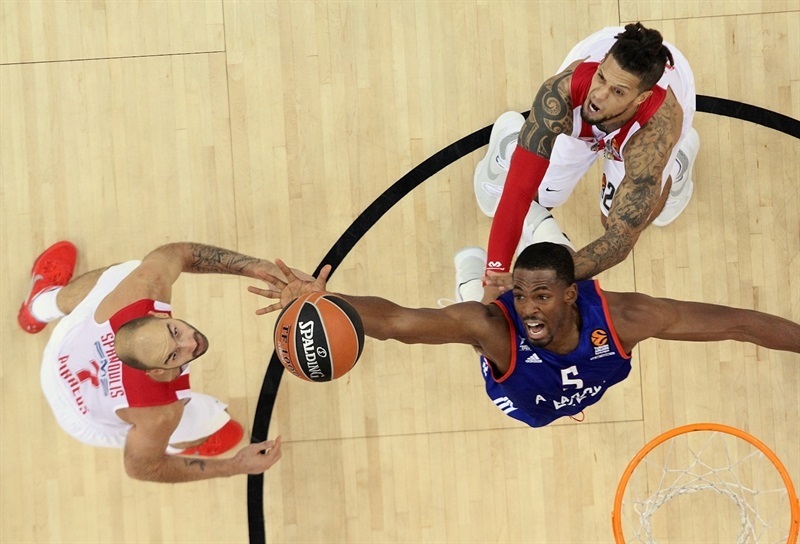 Things did not get much better for Efes in the second quarter as Nikola Milutinov and Lojeski took star turns for the hosts, who led 38-19 midway through the quarter. 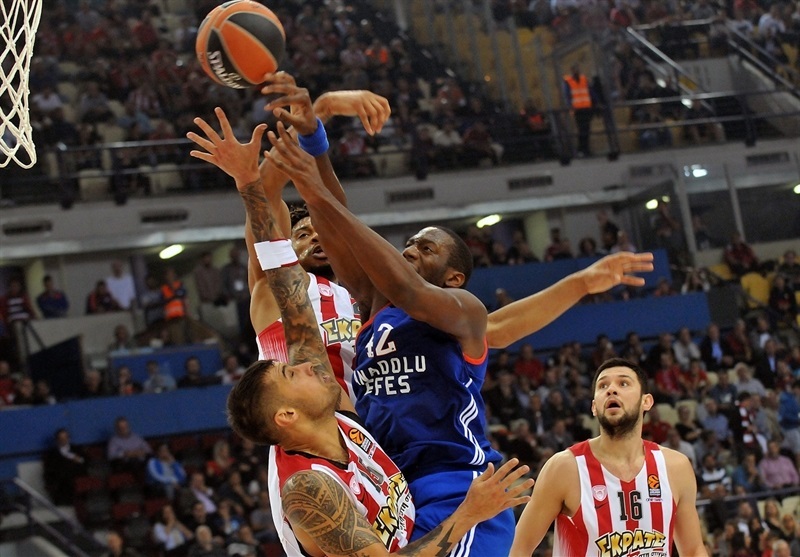 Osman got going to give Efes hope, but the scoreboard was solidly in Olympiacos’s favor, 41-33, at the break. 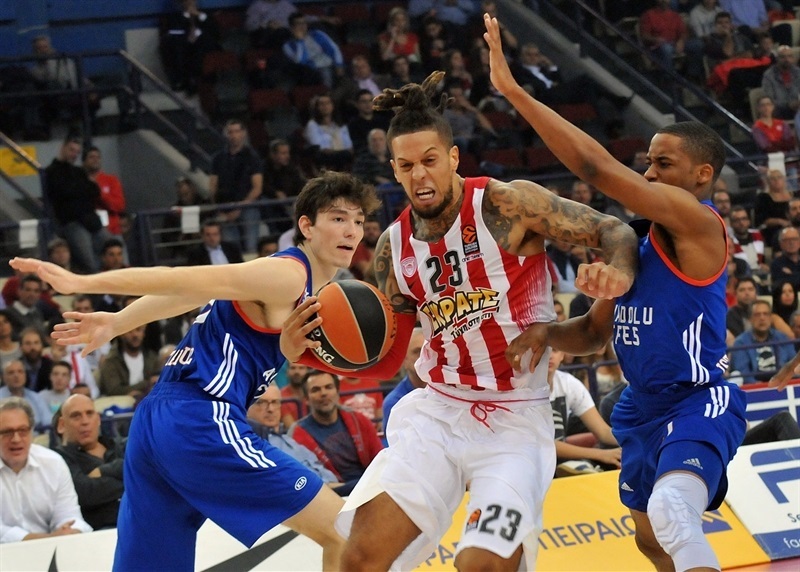 Efes continued its comeback in the third quarter and Tyler Honeycutt free throws drew the visitors within 46-40, but a 7-0 Olympiacos run kept Olympiacos in control. 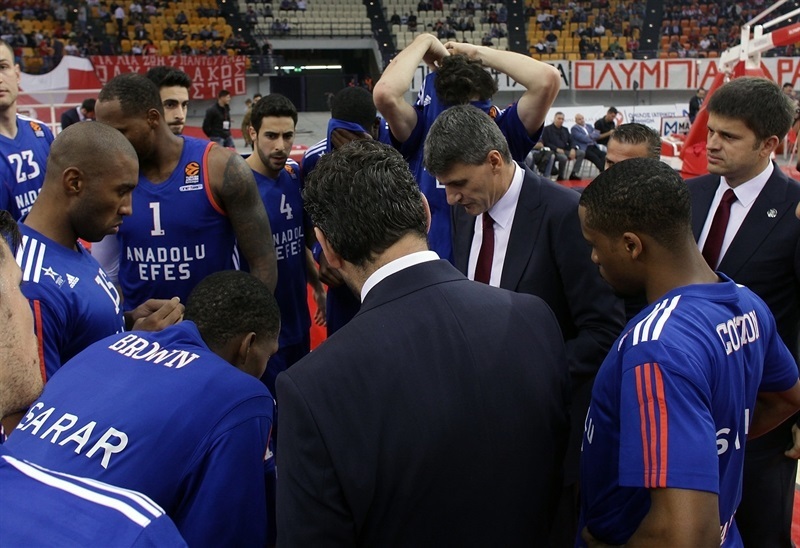 Jayson Granger heated up for Efes, which trailed 62-53 through three quarters. The Reds scored the first 8 points of the fourth quarter to go ahead by 17 and remained in control the rest of the way. "I think that our offense was very good that we scored 90 points. To me it is more important that we kept a very good offensive team, that has a lot of talented players on offense, to 66 points, very much below their average. And from our good defense we had a rhythm on offense and we scored with a lot of players and, I think, with good basketball. 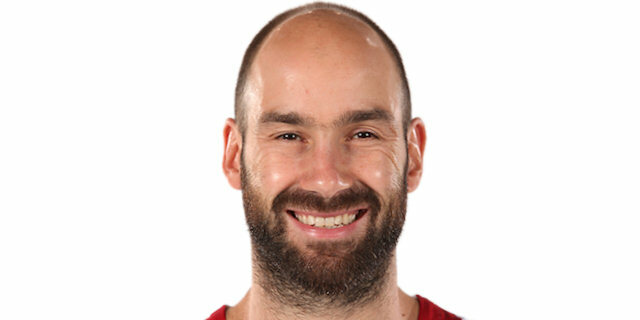 Spanoulis is a legendary player, a player that you don’t find this type of player in Europe, not only Europe but the whole world. 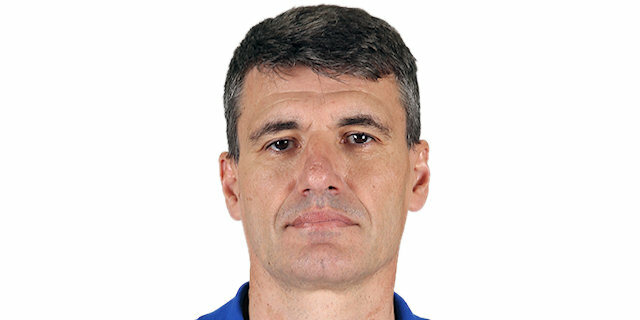 He is the leader of the team. I am very happy and we are very happy that he is here with us. " 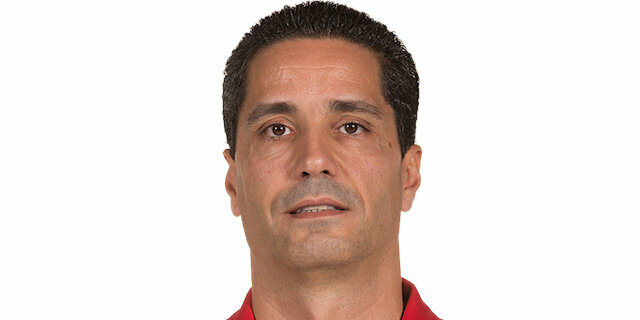 "Congratulations to Olympiacos. They deserved the victory because from the beginning, especially in the first half, they played with a lot of energy and we didn’t. We tried, but always when we came within 6 or 8 points, we make stupid mistakes and they come back. Always when we had the possibility to take better results, to stay close to Olympiacos, our mistakes gave Olympiacos another big difference. Especially in the last quarter we gave up in the last five minutes of the game, which is unacceptable for us. We shot very poorly and stole only 2 balls, which shows our lack of aggressiveness." "Most important for me is that I helped my team to win. All these things [like scoring 3,000 points] are good, but most important for me is the team. It’s a team sport. Thanks to all my teammates and coaches that helped me to improve my game and to help the team win. All my life I have tried to be a team player. A lot of times it depends for me on the defense; maybe it is not necessary for me to score points, but to collect three or four players [on defense] so my teammates will be open to score. Other times I have the chance to score, so I will help from this side my team. Most important for me is to find the solution to help my team win. "